To produce highly motivated and enterprising wold class graduates capable of converting the various knowledge acquired in the course of their training to problem solving that will impact positively on the society. That the Faculty develop into a world class centre of scientific innovation and advanced scientific research based academic institution that will compete favourably with other world renowned institutions elsewhere in the world. Candidates are required to obtain five credits at G.C.E. O’ Level or SSCE, NECO in Science-based subjects which must include English Language, Mathematics, Physics and any TWO of Further Mathematics, Chemistry / Geography, Economics, Biology / Agricultural Science for the Physical Sciences and English Language, Chemistry, Biology and any TWO of Mathematics, Physics Further Mathematics, Geography, Economics and Agricultural Science for the Biological Sciences at not more than two sittings. In addition, candidates are required to sit for UME in the approved subject combination for each of the programme and obtain scores that are within the cut-off limit as might be stipulated from time to time by JAMB. A’ level GCE, HSC or IJMB with credit passes in the required subject combination. 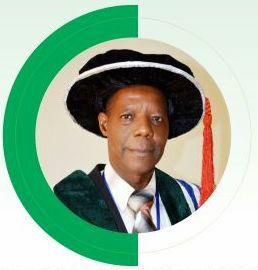 Ordinary National Diploma (OND) or National Certificate in Education (NCE) in Mathematics/ Statistics or Mathematics with Computer Science a minimum of lower credit from a recognized NBTE accredited polytechnic. Candidates who meet these requirements are admitted into the 200 level. Higher National Diploma (HND) in Mathematics / Statistics or Mathematics with a minimum of lower credit from a recognized NBTE accredited polytechnic. Candidates who meet these requirements are admitted into the 200 level. Registration of all courses comes up in the first semester of every academic session which shall end a day before the matriculation for the session. Student may however register for ADD and DROP courses within the first quarter of the second semester. Students are required to register with the Department and the Dean’s office for all courses to be taken. These are Courses a student must register for and pass before registering for a related higher course. 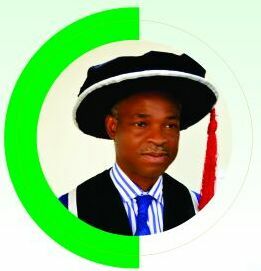 In other word any student that fails a course X designated as prerequisite to a related higher course Y will under no circumstance be allowed to register for course Y until he/she has passed course X or having a satisfactory performance in course X as may from time to time be reviewed by Senate. © Add and Drop form. A student may add more courses (and) or removed certain courses from his registered courses by filling a designated form referred to the approval to as “Add and Drop form” subject to the approval of the department provided in either case provided the minimum/maximum credit load allowed is adhered to and that this process is completed before or by middle of the first semester. 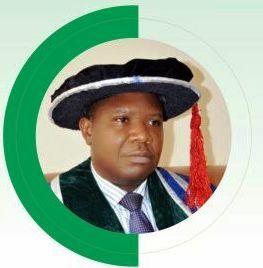 Any candidate offered provisional admission into any programme in the faculty may for a genuine reason acceptable to Senate defer the admission to the following academic session provided he/she has paid all designated fees as may be review by Senate from time to time. A student may apply for inter Faculty of inter Department Transfer provided he/she satisfy entry conditions of the recipient Faculty/Department as prescribed by Senate. The current Faculty/Department must also be ready to release the student. The process of transfer is also time and Level bound. 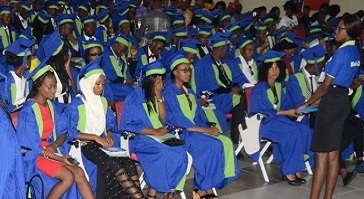 The duration of Bachelor of Science Degree programme is FOUR years (4) for students admitted through UTME and THREE (3) years duration for those coming in through DIRECT entry mode. At the end of first semester of 300L every student in the programme proceeds on twenty four weeks of Students’ Industrial Work Experience. (SIWES) to be done in an establishment that can provide the requisite industrial practical experience to students. Students with a carry-over of SIXTEEN (16) or more credit units at the end of the first semester of 300L will not qualify to proceed on SIWES. The actual time for the exercise is however subject to review from time to time by NUC. There shall be examination of every course registered for by students at the end of the semester the course is taught. In order to qualify to sit for the examination in a particular course a student must be duly registered for the course and must satisfy the attendance prerequisite as stated in [viii] below. Aside from the end of semester examination each registered course shall also have a continuous assessment component which will comprise of assignments, term papers and quiz all at the discretion of the course lecturer. The continuous assessment shall make up 30% while the examination shall be allocated a weight of 70%. (viii) Attendance at Lectures and Laboratory Practical. Attendance at lectures, practical classes, fieldwork and SIWES shall be part of the requirements for the successful completion of a course. A minimum of 70% attendance in lectures and all laboratory practical is required to qualify him/her to sit for the examination in the course. Exception from the above rule on attendance shall be on medical grounds and in such a case there shall be certified evidence from a recognized health institution support of student’s claims which must receive SENATE approval. (i) Except where specifically stated, materials relevant to a course must not be brought into or left behind in the hall where examination in such course is taking place or to take place. 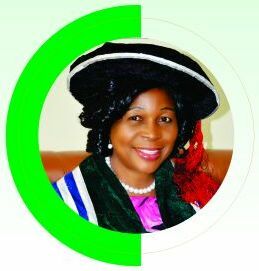 (Examination Malpractice Committee) and its report and recommendations thereafter submitted to the Student Disciplinary Committee through the Registrar for determination subject to the approval of the Vice Chancellor. (iii) Penalty for examination malpractice/misconduct shall be imposed by the senate after a thorough investigation of any reported case. (iv) Proven cases of cheating shall attract appropriate punishment as contained in the university statue. (c) Absence from University Examination. (i) Every student registered for a particular course is expected to sit for the examination in the course normally at the end of the semester the course is taught. (ii) Exemption from the above shall be on medical grounds certified by a medical report from a recognized health institution being at the time of the examination. For reasons other than medical, student’s application must be endorsed by the Head of Department concerned in consultation with the course lecturer through the Dean and approved by the Vice Chancellor on behalf of SENATE. Any student that fails the above criteria in any particular examination will be considered to have voluntarily absented himself or herself from the examination. In the event of the latter a grade of “F” shall be recorded for the student in such course as agreed by the SENATE. Only student with genuine permission shall be allowed to take the examination in the next available opportunity without being deemed to have failed the affected course. Any student with a Grade Point Average (GPA) of less than 1.50 in any semester is placed on SEMESTER PROBATION. If at the end of any academic session a student’s Cumulative Grade Point Average (CGPA) falls below the 1.50 mark he/she is placed on SESSIONAL PROBATION. In addition a student that pass less than TWENTY-TWO credit units at the end of the first year or carrying over more than THIRTY CREDIT UNITS in subsequent year is expected to remain in the current level to remedy his/her deficiency before proceeding to the next level. Any student with less than 1.5 CGPA for two consecutive sessions shall be withdrawn from the programme. (ix) Final Year Examination and Projects. 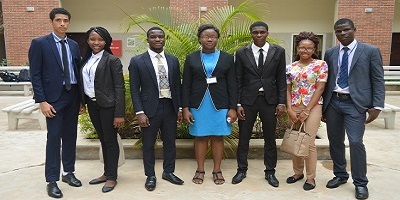 Every final year student shall conduct a project which shall form part of his/her requirements for graduation. The topic of such project shall be as approved by the Department board of examination. An external examiner shall be appointed by the department for the purpose of moderating ALL final year examination questions and examining the students on their final year project. The Final year project shall carry a weight of six (6) credit units which is however subject to review by SENATE as may be considered necessary. A Student shall be required to pass at least 130 credit units for students than come in through UTME and 95 credit units for direct entry students. These shall include the Six(6) credit units contribution from the final year project. Thus, the CGPA at the point of graduation is 2.71 hence the student will come up with Second Class Lower Division Degree. The course introduces students to the definitions, functions, types and characteristics of entrepreneurship. This course further examines entrepreneurship and ethics, entrepreneurship theories and practice; new venture creation; forms of business, business opportunities, starting a new business, innovation, legal issues in business, insurance and environmental considerations, possible business opportunities in Nigeria and introduction to biographies of successful entrepreneurs etc. This course is a continuation of ENT 211. It exposes the students to business idea generation, environmental scanning, new venture financing, financial planning and management, feasibility studies and business plan, staffing, business strategies, documentation/book-keeping, marketing, introduction of biographies of successful entrepreneurs, etc. The course focuses the attention of the students to the practical aspects of entrepreneurship by venturing into the following categories: Agriculture/Agro Allied (fish farming, crop production, animal husbandry such as poultry, piggery, goat etc, groundnut oil making, horticulture (vegetable garden, flower garden), poultry), Services (bakery, radio/TV repairs, barbing/ hair dressing salon, car wash, catering, courier, event planning, fashion design, vehicle maintenance, film production, interior decoration, laundry, music production, phone call centre, rental, restaurant, tailoring/ knitting, viewing centre), Manufacturing (carving, weaving, sanitary wares, furniture making, shoe making, plastic making, table making, bead making, bag making, sachet water production, cosmetics, detergents), Commerce (buying and selling, purchasing and supply, bookkeeping, import and export etc), Information & Communication Technology (ICT) (business centre, computer maintenance, handsets repairs, internet cafe etc), Mining/Extraction (kaolin, coal mining, metal craft such as blacksmith, tinsmith etc, vegetable oil/and salt extractions etc), Environment (fumigation, household cleaning waste disposal etc), Tourism (car hire, craft work, hotel/catering, recreation centre), Power (generator mechanic, refrigeration/air conditioning, electricity wiring etc),Production/Processing(glassware production/ceramic, metal working/fabrication, steel and aluminium door and windows, paper production water treatment/conditioning/packaging, brick laying, bakery, iron welding, building drawing, tailoring, carpentry, leather tanning, printing, food processing/packaging/preservation). Students are to select two of the following areas of interest for practical. Topics should also include Products/Service Exhibition and Quality Control, Business Ownership Structures, Mentorship. The course is a continuation of ENT 311. It focuses the attention of the students on creativity, feasibility study, legal framework, governmental policies, business negotiation, etc. Students should select two areas of interest for practical and exhibition. At the end of the semester students will undertake excursion and internship and produce report. This course further exposes the students to the entrepreneurial process of writing feasibility studies and business plans. The students are required to form cooperative societies in order to collaboratively generate business ideas and funds. Topics should include models of wealth creation, sustainability strategies, financial/ investment intelligence and international business. Students are to select one area of interest for practical and exhibition. The programme involves Recognition, Reward and Awards (RRAs) and Mentorship. This course, which is a continuation of ENT 411, further exposes the students to the entrepreneurial process of strategic management. Topics include business financing, venture capital, managing business growth, negotiation, time and self-management, leadership, ICT and succession plan, defence of feasibility study and business plans. This course teaches effective communication and writing in English, Language skills, writing of essay answers, Comprehension, Sentence construction, Outlines and paragraphs, Collection and organization of materials and logical presentation, Punctuation. This course provides a survey of the main branches of Philosophy, Symbolic Logic Special symbols in symbolic Logic-conjunction, negation, affirmation, disjunction, equivalent and conditional statements law of tort, methods of deduction using rules of inference and bi-conditionals qualification theory, types of discourse, nature of arguments, validity and soundness, techniques for evaluating arguments, distinction between inductive and deductive inferences. Illustrations will be taken from familiar texts, Including literature materials, Novels, Law reports and newspaper publications. 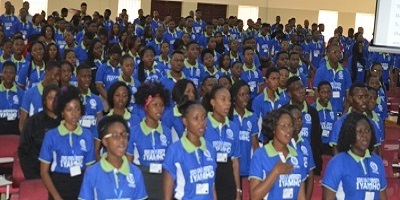 This course provides a study of Nigerian history, culture and arts in pre-colonial times, Nigerian’s perception of his world, Culture areas of Nigeria and their characteristics, Evolution of Nigeria as a political unit, Indigene/settler phenomenon, Concepts of trade, Economic self-reliance, Social justice, Individual and national development, Norms and values, Negative attitudes and conducts (cultism and related vices), Re-orientation of moral and national values, Moral obligations of citizens, Environmental problems. This course teaches the history of libraries, Library and education, University libraries and other types of Libraries, Study skills (reference services), Types of library materials, using library resources including e-learning, e-materials, understanding library catalogues (card, OPAC, etc) and classification, copyright and its implications, database resources, bibliographic citations and referencing, development of modern ICT, hardware technology, software technology, input devices, storage devices, output devices, communication and internet services, Word processing skills (typing, etc). This course teaches logical presentation of papers, Phonetics, Instruction on lexis, Art of public speaking and oral communication, figures of speech, Précis, Report writing. This course teaches the concept of man, man’s origin and nature, man and his cosmic environment, scientific methodology, science and technology in the society and service of man, renewable and non-renewable resources, man and his energy resources environmental effects of chemical plastics, textiles, wastes and other material; chemical and radiochemical hazards., introduction to the various areas of science and technology, elements of environmental studies. Diet, exercise and health, nutritional deficiency diseases, malaria, other infections, hypertension, organ failure, air-borne diseases, sexually transmitted diseases, cancer and its prevention, sickle cell disease. HIV/AIDS: Introduction, epidemiology of HIV, natural history of HIV infection, transmission of predisposing factors to HIV, Impact of HIV/AIDS on the society, management of HIV infection, prevention of HIV. Drugs and Society: sources of drugs, classification of drugs, dosage forms and routes of drug administration, adverse drug reactions, drug abuse and misuse, rational drug use and irrational drug use. Human kinetics and health education: personal care and appearance, exercise and health, personality and relationship, health emotions, stress, mood modifiers, refusal to tobacco, alcohol and other psychoactive drugs. This course provides the basic concepts in peace studies and conflict resolution, peace as vehicle of unity and development, conflict issues, types of conflicts, e.g. ethnic, religious, political, economic conflicts, root causes of conflicts and violence in Africa, indigene, settler phenomenon, peace building, management of conflict and security, elements of peace studies and conflict resolution, developing a culture of peace, peace mediation and peace-keeping, alternative dispute resolution (ADR), dialogue/arbitration in conflict resolution, Role of international organizations in conflict resolution, e.g. ECOWAS, African Union, United Nations, etc.